The federal government has reauthorized the death penalty for the most troublesome California sea lions which congregate at Bonneville Dam on the Columbia River. 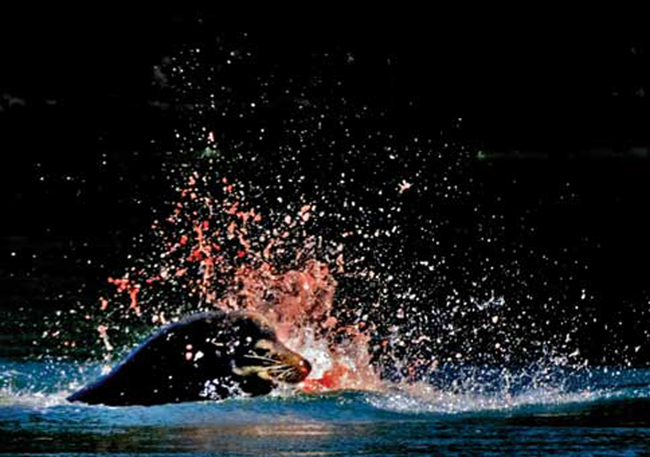 A lawsuit by the Humane Society of the United States forced a temporary halt to selective killing of sea lions below Bonneville Dam. Northwest states, tribes and the federal fisheries agency went back to the drawing board. Now they've returned with pretty much the same answer as before regarding how to stop sea lions from eating too many threatened salmon. Federal fish biologist Garth Griffin says the new quota is 92 sea lions per year, although he expects the actual number put down to be much lower. "While it's no fun to have to do these hard balancing of wildlife management choices that have to be made, this is something that Congress put in place," Griffin says. "We're not shying away from that responsibility to do so." Griffin says trapping and lethal injection of specific sea lions on a wanted list can start Tuesday. That coincides with the spring salmon run. A spokeswoman for the Humane Society responds that group still doesn't believe the killing policy makes sense. Sharon Young says sea lions ate a very low percentage of the imperiled fish passing the dam last year. Death Penalty Returns for Bonneville Sea Lions <-- Listen at original site.